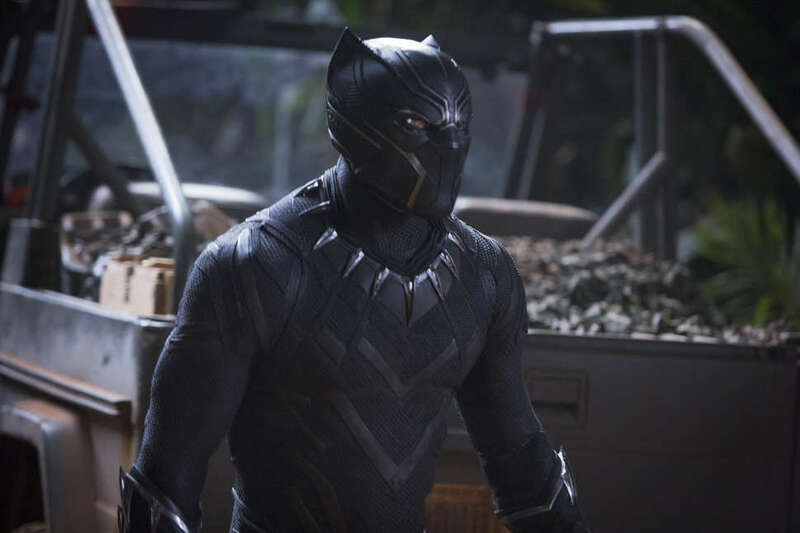 Yes, Black Panther ends with a look to the future and continues Marvel's post-credit tradition, but the blockbuster's strength is how director Ryan Coogler brings his vision of Wakanda and the ruling family to screen without connecting directly to the rest of the forward-marching Marvel Cinematic Universe. Although Andy Serkis returns as Klaue, the vibranium dealer character from Avengers: Age of Ultron, and Martin Freeman resumes his role as Everett Ross, a CIA agent who first teamed up with Chadwick Boseman's T'Challa in Captain America: Civil War, the drama of the movie isn't motivated by a Stark coming in conflict with S.H.I.E.L.D. or a cosmically powered infinity gems destined to be collected by Josh Brolin later this year (not as Cable, but the purple guy, Thanos aka Mr. Potatohead-Crag-Chin). The mid-credits scene shows T'Challa pulling his version of Tony Stark's "I am Iron Man" just in time for the 10th anniversary of the original MCU vehicle. 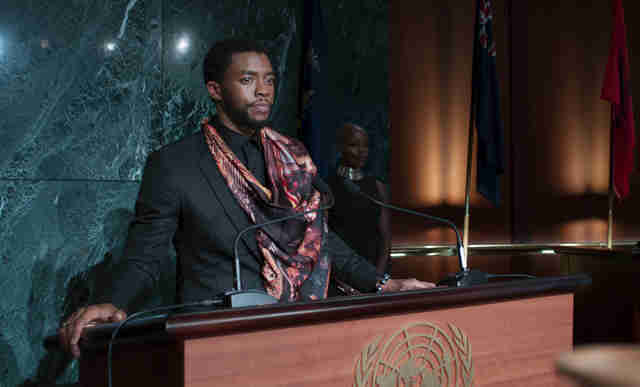 In front of the United Nations, the King of Wakanda pledges that his nation will stop being isolationist and help with the world's problems. When someone asks how a nation of poor farmers can help, T'Challa smiles and the scene ends before he can fully crib Tony's line. Not only is this the logical end of the plotline of the movie, and a vague reference to how the Marvel Cinematic Universe might continue on without Robert Downey Jr.'s Iron Man, it's an explanation for how so much action in Avengers: Infinity War takes place in Wakanda, a place that remained shrouded in secrecy up until Black Panther's mid-credits sequence. In the Avengers: Infinity War trailer, the money shots that don't show Thanos and his hunt for the Infinity Stones show Spider-Man on a mechanical ring and a giant showdown on the fields of Wakanda. During the promotion set visits for Black Panther, producer Nate Moore said that T'Challa's little sister Shuri (Letitia Wright) is smarter than Tony Stark, making her the smartest human in the Marvel Cinematic Universe. Wakanda's doors are open for humanitarian purposes, and what's more important to helping humanity than helping the Avengers stop a space invasion by multi-armed aliens? It looks like Captain America -- with some sweet vibranium shield gauntlets -- leads a charge of the Wakandan soldiers whose blankets make force fields, and Bucky is seen cocking a gun alongside the Dora Milaje. If Wakanda was still masquerading as a nation of poor farmers, this showdown probably would have happened somewhere else. The post-credits scene, after the lengthy list of visual effects artists, features Shuri dismissing some Wakandan youth from a hut where they were with the "White Wolf." Hinted at earlier in the film when Shuri tells T'Challa he's "brought her another white boy to fix" (emphasis ours). The White Wolf that they refer to is Bucky Barnes, robed in blue and red. Shuri lets Bucky know it's time for the next step, and we're out on: "Black Panther will return in Avengers: Infinity War." 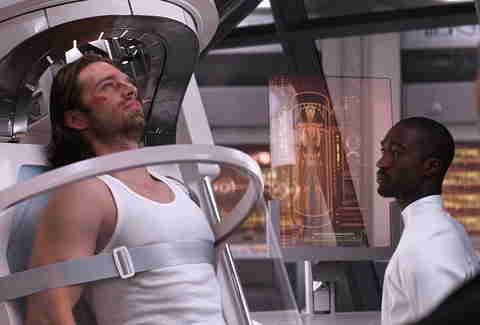 If you stuck around for the credits on Captain America: Civil War, you know an armless Bucky was placed into stasis in Wakanda as Steve Rogers, free of the Captain America title and shield went off to... hey! Why wasn't Cap in this movie? What did Shuri do to Bucky? Believe it or not, the answers lie in a tie-in comic to Avengers: Infinity War, released at the end of January. Marvel's Avengers: Infinity War Prelude #1 explains that Shuri created a "cyber-mind," or a digital copy of Bucky's mind to concoct an algorithm that would rewrite real Bucky's brain to free him of the code-word control that was such a problem in Civil War; Steve Rogers, Falcon, and Black Widow are off saving the world like undercover Avengers, stopping people dealing in stolen Chitauri weapons; Tony Stark is making new armor; Hawkeye has retired and is with his family; and Vision and Scarlet Witch have moved in together in Europe. There will be a second prelude comic released at the end of February that is going to include Doctor Strange and Thor, further priming the comic book audience for May's film with information that probably should have been in one of the movies? Maybe? The other interesting things about Bucky's brief post-credits scenes are most likely Easter Eggs, but let's try wildly speculating as to what they could mean. Since Sebastian Stan said he wasn't in Black Panther, the callout to "White Wolf" made me think we were getting set up for a Black Panther 2 villain, not an Infinity War connection. The comic book character White Wolf is a white Wakandan adopted by T'Challa's father, T'Chaka, before the heir to the throne was born. Much like Erik "Killmonger" Stevens in Black Panther, White Wolf (real name Hunter) felt cheated when T'Challa became King and Black Panther. He and his group of former King's Guard Wakandans defect and become mercenaries. It's too similar to what we just saw to really make sense, but it could also be the Cinematic Universe's way of signaling that Bucky Barnes is going to take Wakanda as his home (see the above Dora Milaje/Bucky trailer shot). The second Easter Egg that means nothing is that Bucky's robes, paired with his white skin, means that in Wakanda he sports the red, white, and blue. Steve Rogers dropped the vibranium shield and is off being a hero on a freelance basis (similar to the "Nomad" period in Captain America comics, though it's doubtful he's actually using that name change in the upcoming films). While Steve is out in the comics, other heroes have taken on the mantle of Captain America, including Bucky Barnes. Granted, we know Steve/Chris Evans plays a vital part in the next two Avengers movies, but after that, is the vibranium shield Bucky/Sebastian Stan's to take? Would they really plant their flag in a Black Panther post-credits sequence? Only the time stone knows the answer... so ask Doctor Strange. Speaking of Infinity Stones... where's Soul Stone? The assumption with having five magical, do-everything plot devices floating around in a shared universe is that they pop up before the climax. The stones also have a habit of usually making their debut on screen as not-stone-shaped objects: the Space Stone was the Tesseract; the Reality Stone was red smoke in Thor 2; the Power Stone was hidden in an orb in Guardians; the Mind Stone was in Loki's scepter from The Avengers; and the Time Stone was in a necklace in Doctor Strange. That means we've probably seen the Soul Stone, right? We know it's going to be orange when it gets into stone-shape, and there are some orange things in the Marvel Cinematic Universe (see Thor: Ragnarok, then read this post), but the location of the Soul Stone is still officially unknown as we approach Thanos' Earthly touch-down in May.